Nature Notes help you learn more about the Hudson Valley's ecology and history. 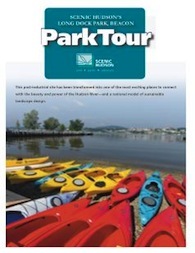 Print one out to enhance your next visit to a Scenic Hudson park or preserve. 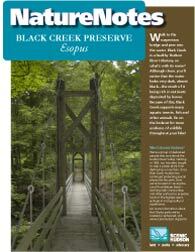 Download this booklet for more information on interesting natural and manmade structures at Black Creek Preserve as well as plants and animals that live there. 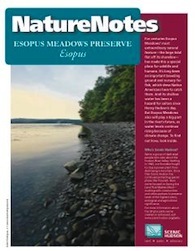 Download this booklet for detailed information and maps about the history and wildlife at our Esopus Meadows Preserve. 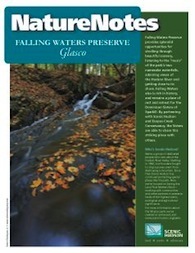 Download this booklet for detailed information and maps about the history and wildlife at our Falling Waters Preserve. 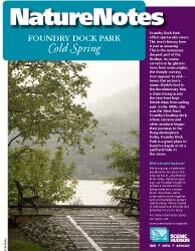 Download this booklet for a look at the historical significance of Foundry Dock Park. 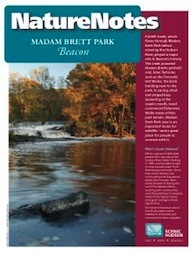 Download this booklet for detailed information and maps about the history and wildlife at our Madam Brett Park. 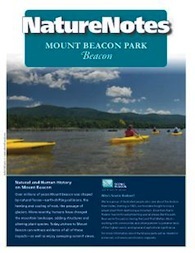 Download this booklet for detailed information and maps about the history and wildlife at our Mount Beacon Park. Download this booklet for detailed information about Long Dock Park's transformation from an industrial site into a beautiful riverfront park.